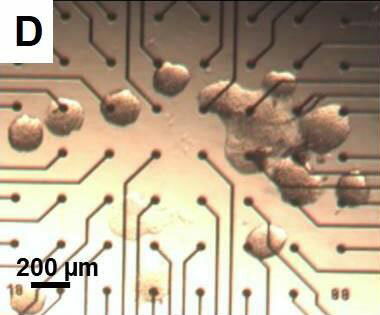 Recording of beta cell activity in islets of Langerhans using MEA technology. Microscopic view of a single murine islet of Langerhans. Islet of Langerhans placed on top of a MEA electrode during an acute measurement. 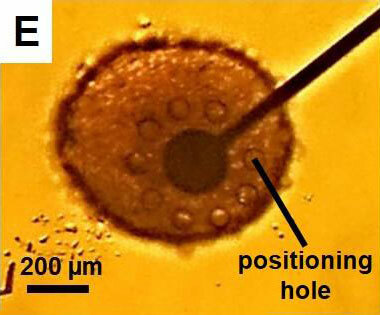 Microscopic view of islets cultivated on the electrode field of a MEA for long-term recordings. 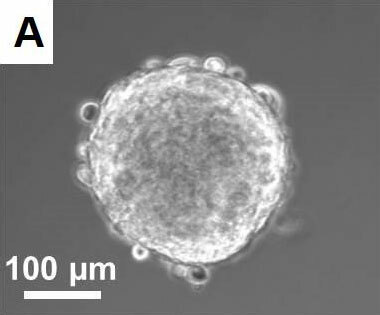 View of a Beta-Screen electrode covered with an intact murine islet positioned via negative pressure through the positioning holes. 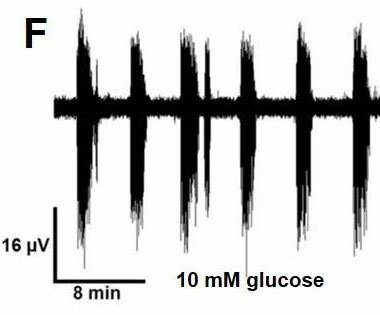 Typical field potential recording of a murine islet with characteristic oscillatory activity in 10 mM glucose. 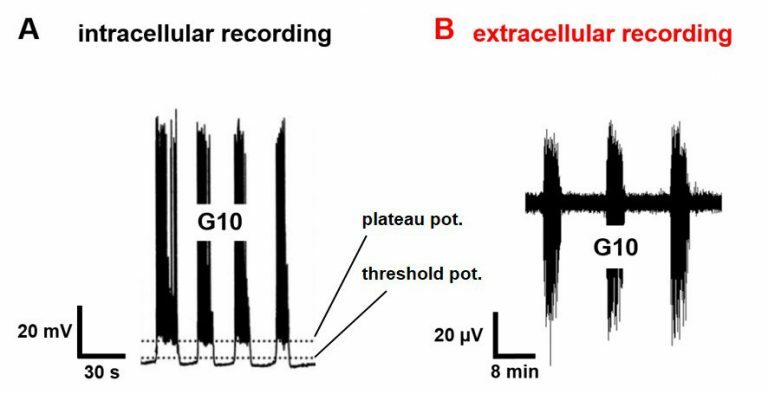 Extracellular recordings with MEA technology are qualitatively comparable to intracellular measurements (Figure A taken from Drews et al., 2015). 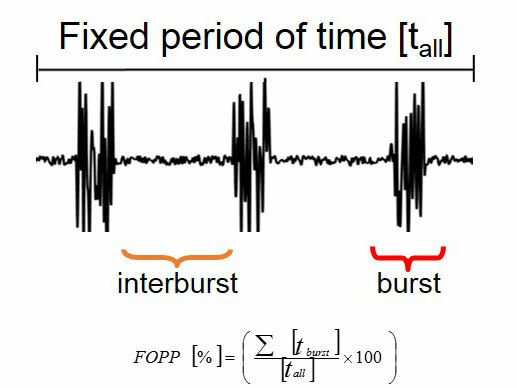 The fraction of plateau phase (FOPP) is the percentage of burst activity in a time interval. FOPP is a marker for insulin release. 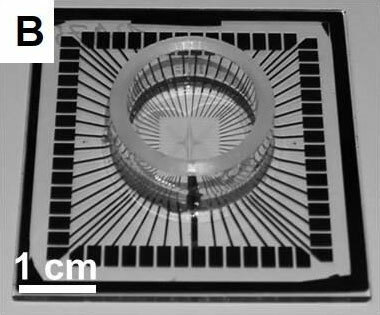 A: Extracellular MEA recording of glucose-induced oscillations before and during application of 0.3 mM H2O2. B: Dose-response curve showing the decrease of the FOPP in the presence of H2O2. 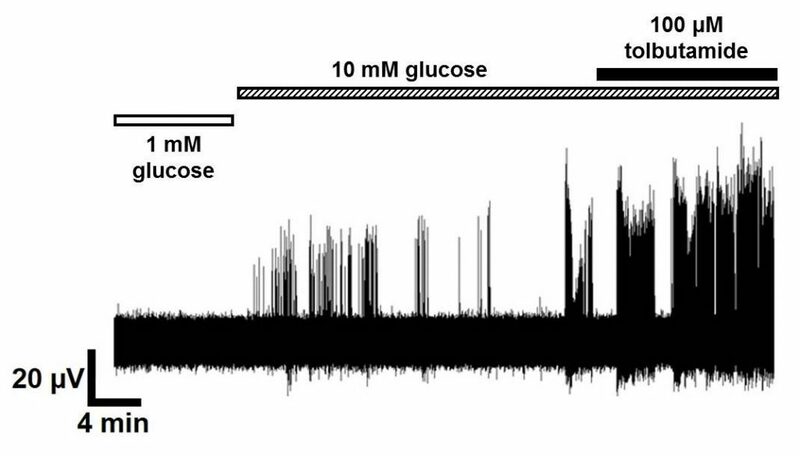 Electrical activity of a human islet of Langerhans obtained from an adult donor. 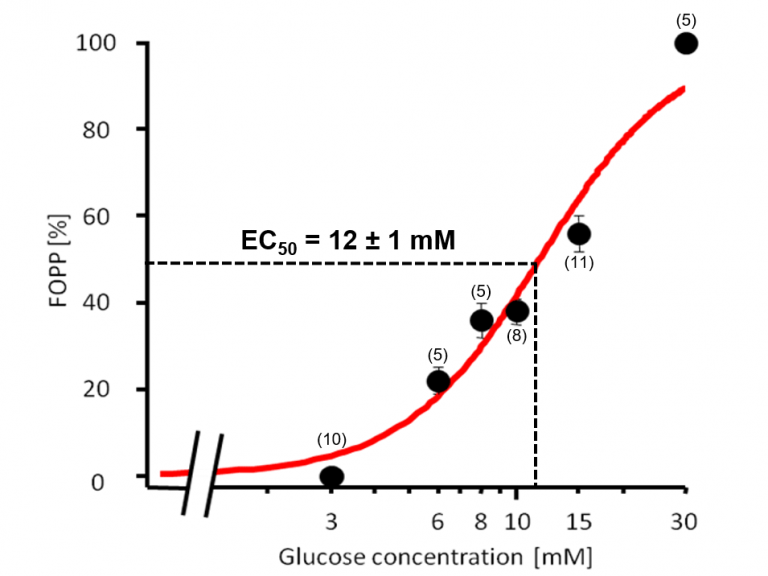 The application of 10 mM glucose (FOPP in % = 35) evoked spike activity and additional application of tolbutamide further increased the spikes (FOPP in % = 85). 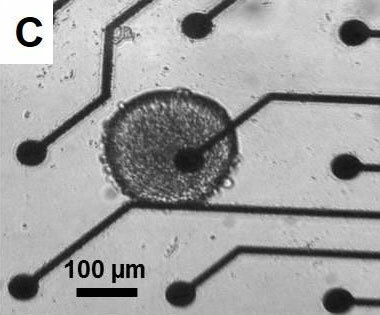 Microelectrode arrays allow higher throughput than conventional electrophysiological methods like patch-clamp or intracellular recording. 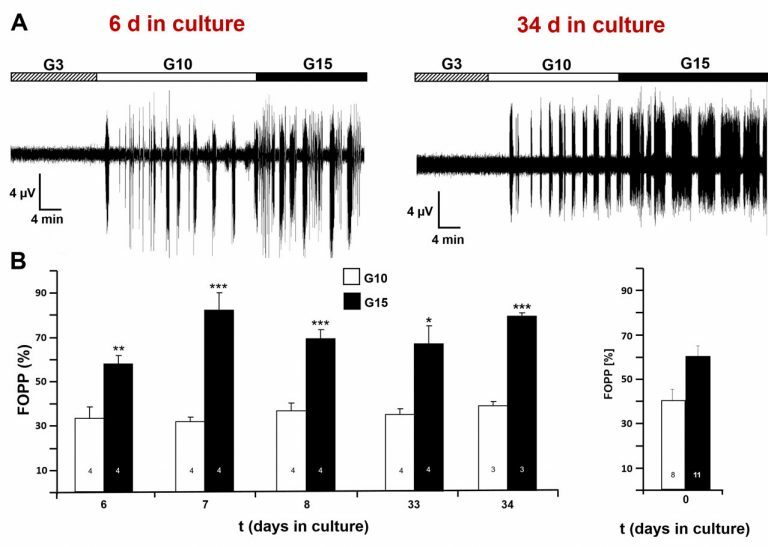 A: Two recordings from islets cultured already 6 and 34 for days on a MEA. 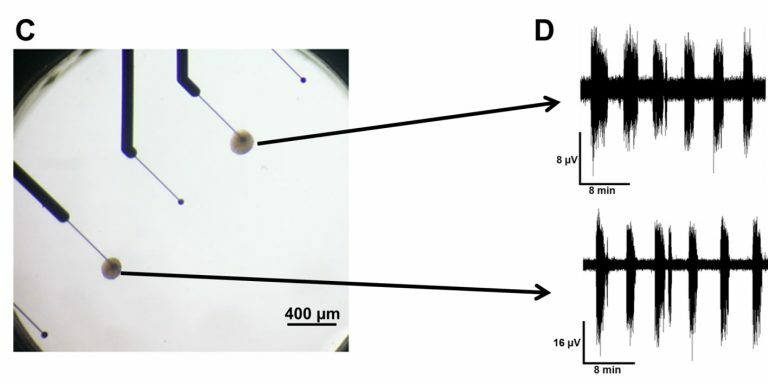 B: (left) FOPPs for glucose concentrations of 10 and 15 mM are not significantly altered up to 34 days in culture and are comparable to (right) FOPPs recorded from freshly isolated islets.